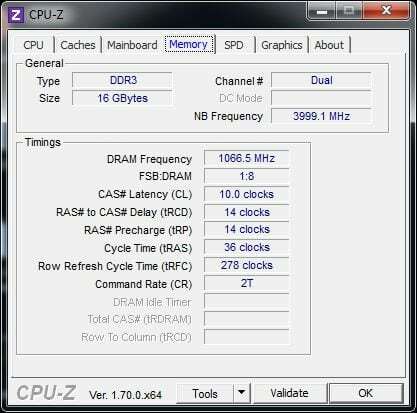 The Kingston HyperX Savage 1866MHz memory can support better timings and overclock relatively well. First, the CL timing was manually adjusted to CL 9 at 1866MHz. 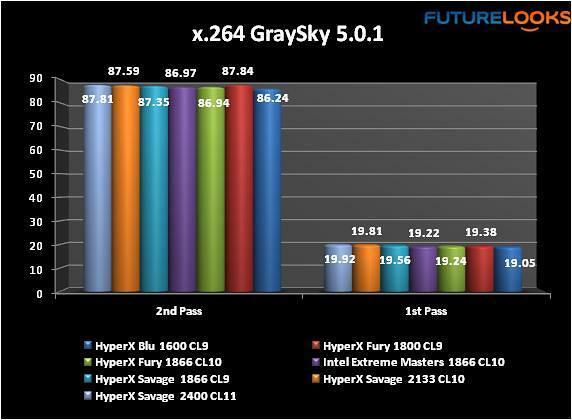 Second, we pushed HyperX Savage to 2133MHz using CL 10 timings. The kit topped out at 2400MHz frequency using CL 11 timings. 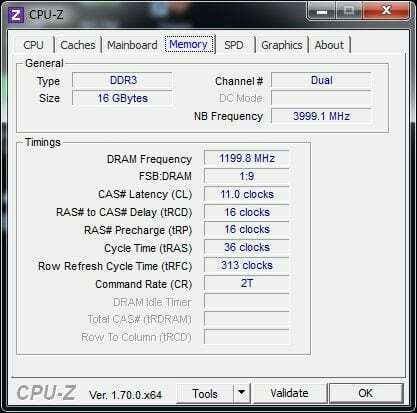 Memory voltage was left to auto which the GIGABYTE GA-Z97X-UD5H motherboard managed perfectly. 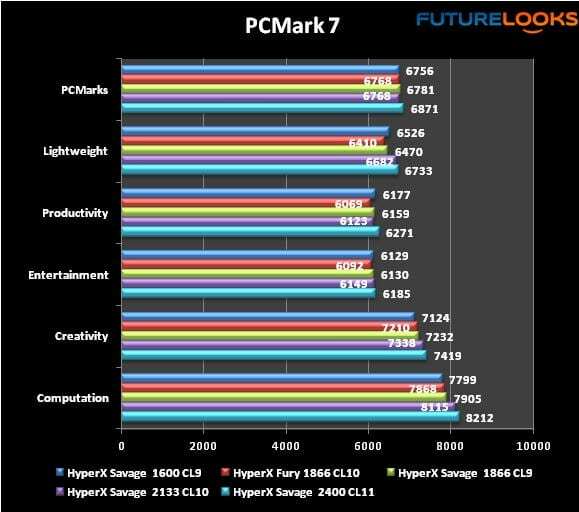 At all three settings, the HyperX Savage remained stable benchmark after benchmark. Does all this extra bandwidth help overall system performance? Lets find out. We can see that both timings and frequency can have a beneficial effect on rendering times. Even though one frame doesn't seem like much, that's an extra frame every second which can equate to hours of billable time in the course of a project. What kind of bandwidth gains are there frequency wise? It's comparable to any other kit at 1600MHz, but easily outpaces the pack in higher frequency ranges. It turns out that memory frequencies benefit overall system performance. However, it's computation that gets the largest boost since it has everything to do with communication between the CPU and memory. 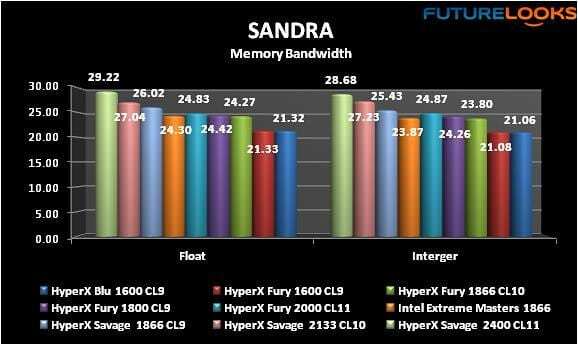 The scores show that the Kingston's HyperX Savage 1866MHz DDR3 16GB Dual Channel Memory Kit can help improve system performance. Not only is Savage slightly more efficient thanks to lower CAS Latency (CL) timings, it's also capable of maintaining relatively good timings as well when overclocked, up to 2400MHz , which was unexpected. The Kingston HyperX Savage XMP profiles worked as coded into the modules. XMP profiles 1 and 2 both set up properly which is great since many users aren't very comfortable navigating the BIOS to set up memory manually. Just make sure your Z87 or Z97 motherboard is a good quality board to see all the XMP performance benefits. The Kingston HyperX Savage DDR3 dual channel kits start at 1600MHz 16GB, and go for $165 US, 1866MHz 16GB for $180 US, 2133MHz 16GB for $190 US, and 2400MHz 16GB for $203 US. Comparable to the competition and only about $10 more than the aggressively priced HyperX Fury. While there aren't many Haswell and Haswell-Refresh (LGA 1150) processors that can go beyond 2400MHz, we highly recommend getting the Kingtston HyperX Savage DDR3 1866MHz 16GB Dual Channel kits as your best bang for buck in this high performance line up. Help Improve Our Reviews By Leaving Your Comments!